We create websites,on-line e-commerce stores and do digital marketing. Except Guest Posts all posts are creative work of Author. How to beat Indian summer heat ? How important is robotics for young students ? Attention parents & teachers !!! Are you nurturing technical bent of mind in students? BotLab is here. Technologies used by us in day to day life, right from white good appliances to hardware & software applications are becoming old-fashioned. They are daily advancing at rapid pace and a new set of concepts are coming in picture. Artificial Intelligence (AI), Machine Learning (ML) and automation with Robots are buzzwords today. They will be widely used in our day to day personal lives in future. They will be the core part of the new future machines and software. Ever heard of intelligent and smart home appliances like smart televisions, refrigerators, washing machines and microwave ovens? A set of technologies like AI, Machine Learning and automation are coming into play. Previously, it was educational toys which helped. Students learning fundamentals of engineering. In previous generation, parents had very limited option to introduce students to technology at younger age. They managed it with some of the educational toys. These toys were supposed to create technological bent of mind in the students. A lot variety of educational toys were available in the market. They are still available in the form of educational and creative games. These toys were given to students who wanted to be engineers in the future or who wanted to opt for science education. 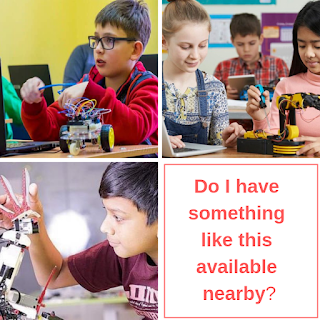 How can I introduce students to Robotics at right age? Do I have some kind of educational kits for Robotics? Robotics training institute for young. 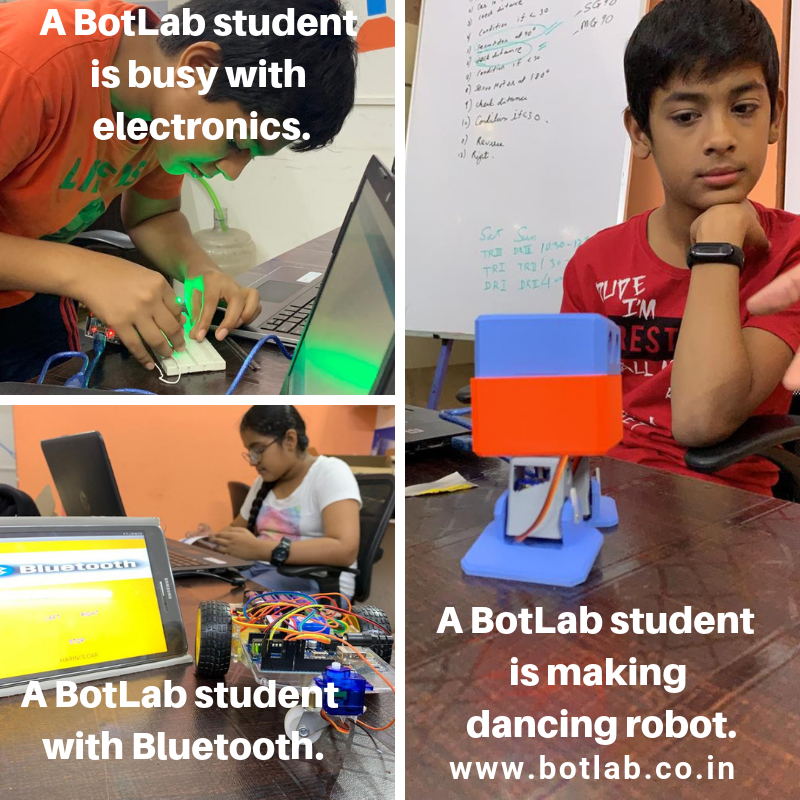 BotLab was started in the year 2017 with the objective of developing an attitude of Automation in the children. BotLab is an institute that delivers education in Robotics and Automation. Artificial Intelligence (AI) and Machine Learning (ML) are the concepts which are part of these bigger terms like Robotics & Automation. BotLab gives literally such technologies to your students for play . It's mission is to enable a young student to grasp these concepts at young age. They are a skill development centre – Foundation Future Perfect. They take further the concept of DIY from “Do it yourself” to “Design it yourself” by providing required hardware and software. They also introduce to students to 3D printing. 3D Printing is the future of designing and manufacturing specially people who would like to work in the area of Design and Development of products. Students learn to create Robots or Machine models or an exact working replica of any product or object with engineering bent of mind. They do it hands on by grasping the technological concepts behind them. BotLab makes young students to do it hands on. All this is achieved without any theory books. Their emphasis is on close to 100% practical and minimalistic on theory. They give 360O education about Robotics. Students create their own robots using 3D designing, put electronics components and code it. In this process, they learn 3D designing, electronics components and coding. BotLab makes sure that students learn application. In every six months, students make their own robots with all the knowledge, they have gained in the lab. This helps students to think out of the box, to give automation solutions to the problems, that occur in day-to-day scenario. BotLab has structured curriculum for students. The curriculum of BotLab is like none other. They have divided the curriculum in 8 Semesters. Every semester has its focus point. They cover different aspects of robotics like Python, IOT, Machine Learning, Artificial Intelligence, etc. step by step. Vacation camps in BotLab are one of its kind. They not only introduce with the automation happening around us, but also take young students to the level of Home automation. 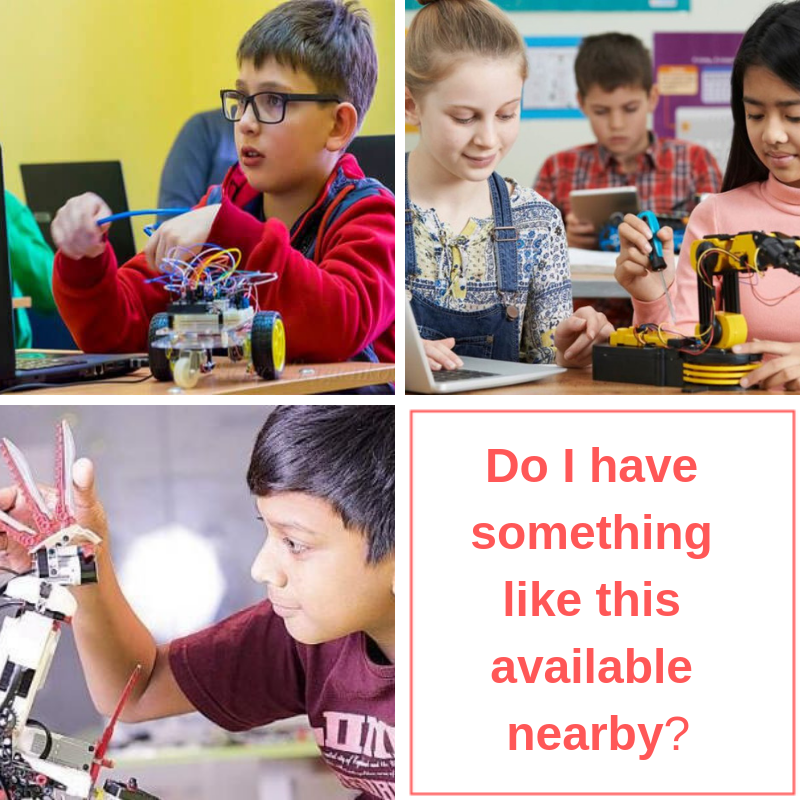 BotLab sets up Robotics/STEM labs in schools and colleges. Apart from this BotLab sets up and maintains Robotics/STEM labs in schools and colleges. They also train students of engineering schools and colleges in Robotics and Automation. They are known for the quality of electronics components and service. It is wise investment to send your students to BotLab. It is easy to reach them. They are situated in Express Zone, Goregaon East, Highway. Augmented Reality Brand Brand logo Brand loyalty Bulk SMS Bulk SMS Marketing CMS E-commerce Email Marketing Gamification Gamification of Brand KISS website Know your product Know your service offered LED SEO SMS Marketing Social Media Marketing Start-Up Trademark Virtual Reality Web-promotion What am I selling ?